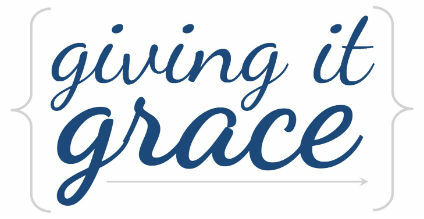 Giving it Grace: See you in February! For many people, myself included, the start of a new year is a welcomed time to start fresh. It's very enticing, the idea of wiping the slate clean and starting over with hopeful resolve. But let us not forget that the desire to start fresh with a new clean slate is enticing because it was placed in us by design, and that very desire is meant to point us to Jesus: our forever-clean-slate, our forever-fresh-start. The Bible says in Ephesians that once we become Christians, we put off our old selves - our former manner of life that is corrupt through deceitful desires - and we are then renewed in the spirit of our minds and a new self is put on us that is created in the likeness of God in true righteousness and holiness. What a fresh start indeed! And on that note I'll be taking the month of January off from blogging to welcome in a time of rest as our family looks forward to what God has for us in 2016.